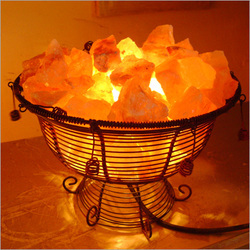 Himalaya rock salt crystal lamps are mined in an ecologically responsible manner, and crafted by dedicated artisans into attractive and safe lamps that can be used indefinitely. 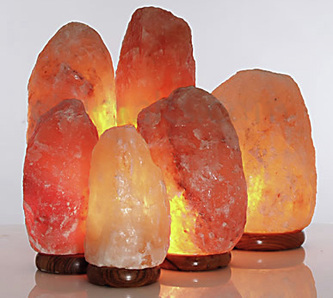 Even though the crystal salt lamps and ions themselves are odorless, people can really feel the difference breathing the energized, clean, healthy air. 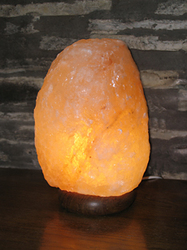 Rock Salt lamps are made of 100% Natural Himalayan Salt Crystal rocks formed more than 250 million years ago. 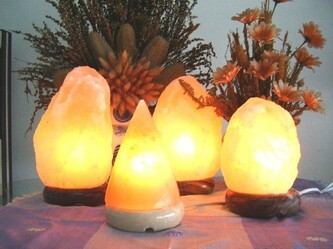 Each Himalayan salt crystal lamp, unique in terms of color and shape, provides a comfortable atmosphere and a sense of well being, thanks to the double action of its color and ionizing effects. The environment we live in, is full of positive ions which makes the air more polluted. 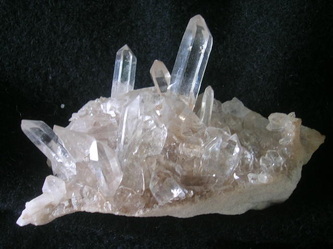 These positive ions are being discharged by electrical appliance, high voltage networks, heating and cooling plants, radio and television transmitters, radar systems, tobacco, computers and TV sets. 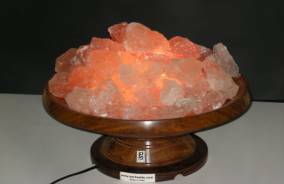 Rock salt crystal is known to be one of the most efficient emitters of negative ions that "improve the air quality". 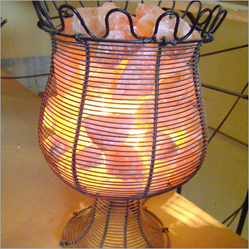 Salts lamps create a micro climate that is similar to the air after a light spring storm. 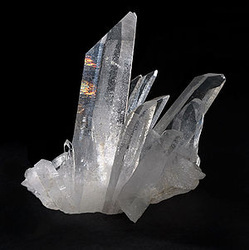 Salt crystal to its chemical composition, is an ideal source of negative ions.